Three farmers have been honored for their efficient and effective use of applied fertilizer in their no-till systems. 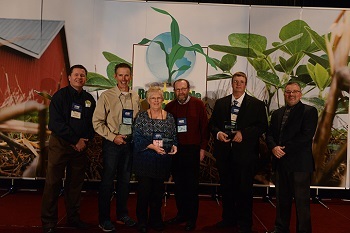 Considered Responsible Nutrient Management Practitioners, the no-tillers were honored Friday before nearly 1,000 growers during the 24th annual National No-Tillage Conference. Eric Odberg of Genesee, Idaho; Jerry and Nancy Ackermann of Lakefield, Minn.; and John Kemmeren of Bainbridge, N.Y., each shared with conference attendees five practices they utilize on their farms in an effort to use only necessary amounts of applied fertilizer and make sure that it’s used by crops rather than lost to the environment. All nominees for the 8th annual program answered more than 20 questions about their farming operations through an online application. Their responses were graded by a panel of fertility experts. 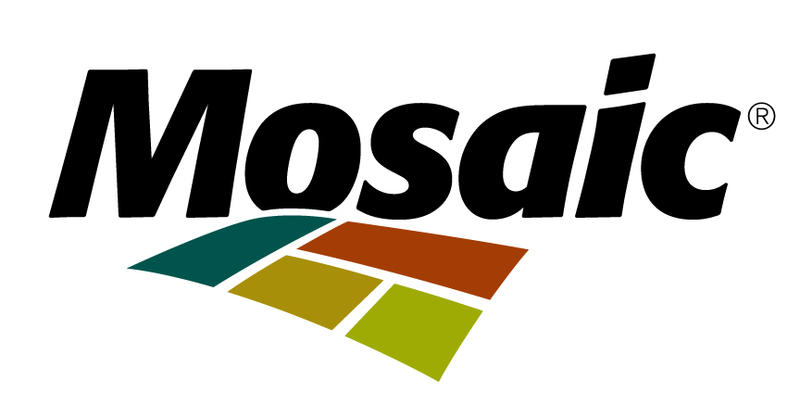 The highest scorers were awarded the honor, along with complimentary travel to the conference and lodging from AgroLiquid and conference registration from No-Till Farmer. AgroLiquid and No-Till Farmer are co-sponsors of the Responsible Nutrient Management Practitioners Program. Odberg no-tills 2,200 acres of winter and spring wheat, malt barley, garbanzo beans, canola, millet, sunflowers, quinoa and flax. His farmland drains into the Clearwater River, a salmon-bearing stream crucial to spawning. Odberg says soil and tissue testing in season has allowed him to apply variables rates of fertilizer based on yield maps and infrared imaging. He adds that variable-rate fertilization has provided a 7% savings in applied fertilizer, while auto-steer has brought another 8% savings in nutrients. The Ackermanns strip-till corn and no-till soybeans and alfalfa on 1,200 acres in southwestern Minnesota. Their goal is to average 200 bushels of corn with just 140 pounds of nitrogen (N) per acre. They’ve switched from using anhydrous ammonia to urea through either a controlled-release product or with a N stabilizer to protect against volatilization and loss. They have reduced N rates from 100 pounds in the strip to 40 pounds. Kemmeren no-tills 750 acres of corn, hay and pasture, as well as maintains 100 dairy cows, 100 replacement heifers and some beef cattle, in central New York. His corn yields are 25% above the county average, even as he has trimmed his use of commercial fertilizer by 75%. Manure plays a huge role in his fertility program, but he applies it into cover crops to keep manure from running off his highly erodible farmland. To get more details about these farmers’ fertility management programs and farming operations, visit the Responsible Nutrient Management Practitioners page on the No-Till Farmer website at http://www.No-TillFarmer.com/ResponsibleNutrients. Nominations are now being accepted at http://www.No-TillFarmer.com/ResponsibleNutrients for the 9th class of Responsible Nutrient Management Practitioners to be recognized at the 25th annual National No-Tillage Conference in St. Louis Jan. 10-13, 2017. Contact Darrell Bruggink of No-Till Farmer at dbruggink@lessitermedia.com for more information on the program.